You'll be £25.00 closer to your next £10.00 credit when you purchase The Steel of the DLI (2nd Bn 1914/18). What's this? The 2nd Battalion of the Durham Light Infantry was one of only two battalions of the regiment that did not have its history published in some form after the Great War, the other was the 1/7th (Territorial) Battalion. As the regular Home Service battalion of the regiment it was brought up to strength with Regular Reservists and men from the Special Reserve and went out to France in September 1914, where it fought at the Battle of the Aisne, before moving north to Flanders. The battalion was in action immediately that war was declared on 4th August 1914, when a detachment based at South Shields boarded a German Steamer on the River Tyne and took the crew prisoner and marched them through the town to the Police Station. The book includes material from unpublished letters and diaries of both officers and men and has lots of photographs from the Regimental Archives, a number of which show named officers and men in the trenches around Armentierres in 1915. Also included is a roll of all the officers that served with the battalion with date of joining and leaving the battalion. For the other ranks the original 1914 Star men are included in a roll that includes reinforcements that joined up to 1 November 1914. This roll has been crossed referenced against the South Africa Rolls to show those who had seen service in that campaign also. There is also a list of those that received gallantry awards. This must be one of the first histories of a regular battalion that fought in France during the Great War, published since the 1920's. Sheen's history has all of the insight and detail we have come to expect of modern scholarship, drawing deeply on official, regimental and private records. With many excellent photographs, most of which will not have been seen before, and lacing the battalion's history with the stories of individual officers and men, he takes us through the whole war from the battalion's first searing experiences on the Aisne, right through to the honour of advancing into Germany as part of the army of occupation. In between, the 1915 nightmares of Hooge, the latter stages of the Somme, Hill 70, Cambrai and ceaseless engagement in 1918. The story also brings out how the nature of the battalion inevitably changed, from wholly regular through mostly volunteer to conscript, yet managed to maintain an ethos and professional air throughout. The DLI is very well served with battalion histories but, surprisingly, the regular 2nd Battalion was never written up. John Sheen has filled that gap, making good use of the local press to provide contemporary letters and reminiscences to bring the story alive. This book is particularly well illustrated. The battalion joined 18th Brigade, 6th Division and went to France in September 1914. To demonstrate just what a lot the BEF had to learn in the new kind of fighting on the Western Front, consider this. Late in 1914 the battalion was near Armentieres. Having lots of ex-miners in its ranks, the battalion took early to underground warfare. But so many men crowded out of curiosity around the entrance to a new mine that they were spotted by enemy artillery and severely shelled. Not a mistake you would make twice! The battalion's war history was curiously checkered. They missed engagement in First and Second Ypres, but were part of the successful counter-attack at Hooge in August 1915. They put in a grim six months holding the salient from January to July 1916. They were on the Somme in September and October. (A word of complaint here. The narrative got so vague at this point that I had to go to other reference books to work out which engagment was being written about). In 1917 they missed involvement in Arras, Messines and Third Ypres, but were busy trench raiders. They were at Cambrai that year. They put up a terrific resistance in March 1918, did another long spell in the Salient and were in the advance to victory from Albert to the Sambre between September and November 1918. Some good appendices round off a useful addition to any library of unit histories. I would love to know more about 18th Brigade's use of 'Cards of Honour' to reward deserving soldiers who didn't make it to the medal lists. Journal of the British Commission for Military History. Not only has this fine history been well researched, but it boasts many images too, all of which make it a fine work to add to your Great War library. . . The book contains many extracts from previously unpublished letters and diaries of both officers and men. 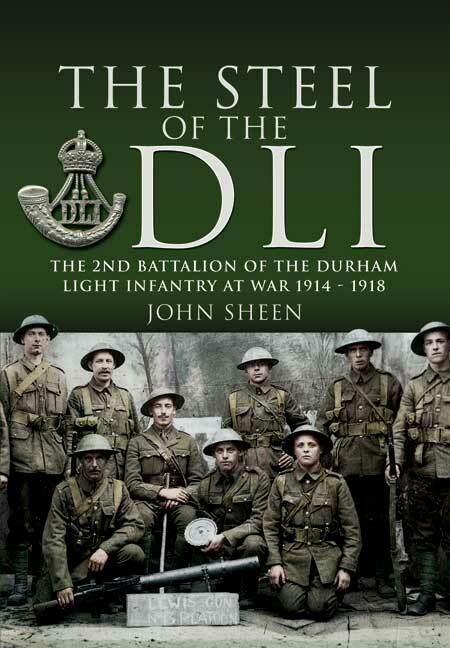 Both John Sheen and Pen & Sword are to be warmly applauded for producing the history of this fine battalion.